Our Massage Therapists work magic on your mind, body and soul. They know how to ease your aches and pains with hundreds of techniques and have a loyal following to prove it. With over 30 years of combined clinical massage therapy experience, there’s no better massage anywhere in Richmond. 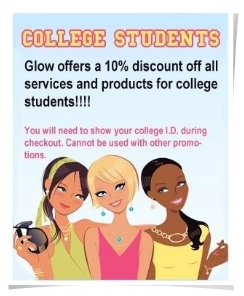 Book your appointment today! Tammy has over 15 years of experience in the fields of massage therapy and esthetics both as a therapist and instructor. Her passion is to be a catalyst in your journey of well being. A lot of her drive and passion comes from her personal health, as well as observing friends, family, other people, and animals. Her mission is to help individuals empower themselves to become balanced spiritually, mentally, emotionally, physically, nutritionally, and to learn to laugh every single day as it is the best medicine. Tammy began her massage and esthetics education and career in the early years of 2000. She holds active licenses as a Certified Massage Therapist licensed with the Va Board of Nursing and the California Massage Board. She holds active Master Esthetician licenses with the Va Board of Cosmetology and with California Board of Cosmetology. These licenses also include her Instructor Licensing. She has completed courses as a Holistic Health Practitioner, Health Coach, Board Certified Holistic Alternative Psychology Practitioner, Personal Training & Yoga, and Aromatherapist. She completed her Reiki Mastership in 2007 and has been doing other intuitive and energy work with people and animals since she was a small child. In her free time, she is very active, playing a variety of sports such as inline hockey, ice hockey, soccer, and martial arts. She loves to cook and uncook (preparing raw food). She enjoys working with and taking care of animals. She finds joy in everything she does daily from washing dishes to teaching classes and working with clients. She feels her life is truly blessed. She continues to freelance study and attend workshops on a regular basis to further her education in all these fields. Ildikó, nationally certified since 2007, made the decision to pursue her Massage License after working as a Yoga Instructor with clients for years at her private studio in Pennsylvania. Inspired by her love of body mechanics, movement, and desire to learn more on how to help the human body perform at its highest level, she enrolled in Lancaster’s School of Massage. 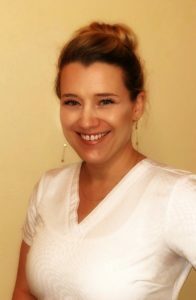 In addition to traditional styles of massage methods, Ildikó also offers specialized healing techniques by way of trigger point therapy, myofascial, cranial sacral and her specialty: Ashiatsu, also known as “deep feet” therapy. Another passion which she has dedicated her life to learning more about, so as to create this experience during her sessions is a process called “Awakening to Presence.” This is a integrated approach to release stressful beliefs, thoughts, emotional, and physical trauma from the body. Ildikó is in her fifth year of ATP’s extensive six year training program and has been able to bring this benefit to all her clients during their sessions with her. 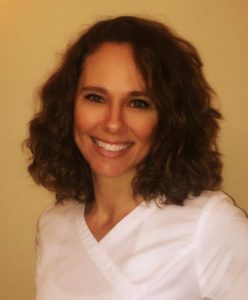 Since choosing massage therapy as her future, she has traveled the nation, combining her clinically based techniques, intuition and technical skills to create an individual experience for each client she meets along the way. Though she tends to be a bit of a snow bird, traveling between states to stay where the weather is manageable, she has now decided to reside in lovely Virginia to be closer to her oldest daughter, a student at the University of Richmond. It is here, with her team at Glow, that Ildikó continually pursues commitment to not just her clients, but to her personal and professional growth as well. She looks forward to having the pleasure of working with you. 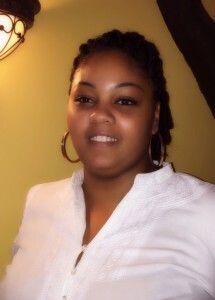 Nikki, A graduate of Virginia Career Institute, started her career in the spa and wellness field back in 2006. Her interest in holistic medicine and desire to help people started at a young age, and her decision to study the healing power of touch and become a Nationally Certified Massage Therapist, came easily. 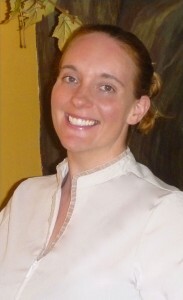 Over the years, Nikki has helped people relieve the pain of injuries, stress, car accidents, and body discomfort due to sports as well as insomnia, circulation problems and fatigue by using her knowledge of Trigger Point Therapy, Prenatal Massage, Swedish Massage, Deep Tissue and Hot Stone Massage. Nikki has a great awareness and deep respect for the human body and its ability to heal. She brings a gentle demeanor and heart centered approach to her profession along with being very passionate about her work, which comes through in every massage she does. A 2011 graduate of Career Training Solutions, Fredericksburg Virginia, Mercedes is a licensed massaged therapist who specializes in Deep Pressure, Swedish, and Sports Massage. She mainly focusing on the therapeutic aspects of massage by combining stretching, acupressure, and other connective tissue manipulations. Mercedes is very passionate about the wellbeing, health, and balance of one’s whole person. During the time of being a therapist, she has helped those who have been in car accidents, chronic pain from injury, chronic migraines, degenerative disk disorder, sciatica, fibromyalgia, and many other life debilitating ailments. Although very therapeutic, she can also provide a wonderful relaxing massage that can be used as an escape from everyday stress. Positivity and happiness is the key of a stress free balance that is willing to be spread. Markella received her massage therapist license in 2015 and Reiki Mastership in 2016. She specializes in tailoring each session to her clients’ needs, and is trained in Deep Tissue, Lymphatic Drainage, Aromatherapy, Reflexology, Swedish, Prenatal, and TMJ Pain Relief. Markella’s philosophy for overall body wellness incorporates massage therapy in support of other practices such as mindfulness, active lifestyle, healthful eating, energy healing, and trauma recovery. Reiki work facilitates healing on all levels. Balancing the physical and the energy bodies together. Massage therapy, including Reiki, amplifies the positive effects of these other practices. She believes incorporating body work can elevate your journey towards creating or maintaining your optimal health. During her time off, Markella focuses on maintaining her health with the same practices she encourages for her clients. This includes spending time with her husband, son and their wide circle of friends. Biff Collins’ birth name is Elizabeth, but she has always and forever been known by all as Biff. Biff, a Licensed Massage therapist since 2010, completed her training in New York and further went on to become a licensed Acupuncturist. After spending a stint of her life in The Big Apple, she once again returned home to Richmond and joined the Glow Team. She brings with her a hybrid of Tradition Eastern and Western techniques. Her unique blend of these techniques began early in her education at The Swedish Institute where she received an Associates in Occupational Studies for Massage Therapy followed by extensive Continuing Education courses in Tui Na, Shiatsu and Prenatal Massage. At the Pacific College of Oriental Medicine, where she received a Bachelors in Health Sciences and a Masters of Acupuncture, her passion for combining holistic techniques that are both relaxing and therapeutic to create a healthy balance for each person as a whole only grew. Biff is a DONA (Doulas of North America) certified Birth Doula. She has had the privilege to attend births of all kinds, generally in a hospital setting. She enjoys helping expecting Moms be comfortable and healthy during pregnancy and is particularly passionate about helping Mom’s adjust physically to the changes that occur Pre and Post-Partum. As a Practitioner of Chinese Medicine she understands the unique, complicated, and ever-changing dynamic within each person to find their best state of well-being. To find the balance of life-style, diet, exercise and rest that is required for true health. Biff enjoys developing a long-lasting relationship with her clients and becoming a distinctive part of their wellness journey.